Former AC Milan and Brazil star Kaka has returned to Italy amid reports Wednesday he is set for a backroom role with the fallen Serie A giants. The 2007 Ballon d'Or winner is reported to be looking at the possibility of joining the club's board along with fellow AC Milan icons Leonardo and Paolo Maldini. 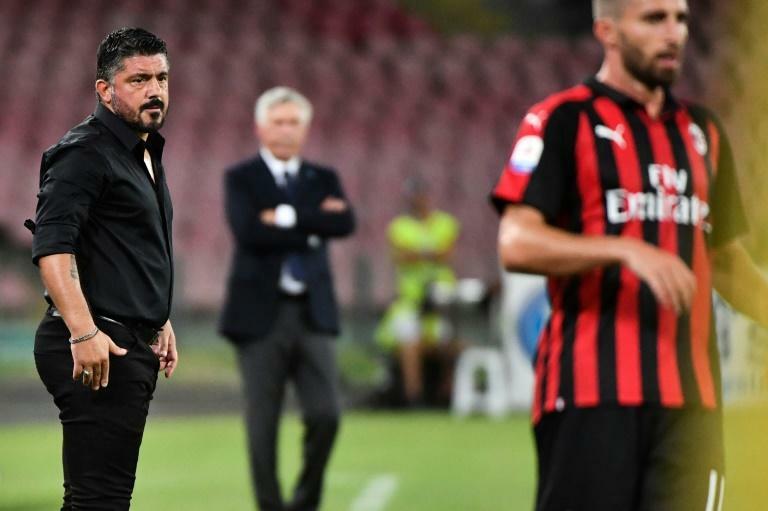 Another ex-Milan teammate Gennaro Gattuso has coached the seven-time European champions since last season. "I often talk with Leonardo, we are friends, but the role that I will have at Milan we have not yet discussed," Kaka told journalists after his arrival in Italy. Kaka spent six seasons with Milan before joining Real Madrid in 2009 but returned for a season on loan in 2013. He won one Serie A title and the Champions League with Milan. The 36-year-old will attend AC Milan's first home game of the season at the San Siro against Roma on Friday, after the club lost their opener 3-2 in Napoli. "Now my priority is my children living in Brazil, which is the reason why I did not arrive at Milan before, but Leonardo and Maldini bring me even closer to Milan." For now he will join sporting director Leonardo and Maldini, sporting strategy and development director, and study as a manager, with the possibility of helping the club's scouting in Brazil. "I want to understand what I'd like to do in the world of football," added Kaka, who retired last year after a glorious career playing at the San Siro, Real Madrid and Sao Paulo before finishing at MLS side Orlando City.